Family and friends of Scott Linscott are raising money to pay for uninsured medical expenses associated with transplantation. Scott has chosen to fundraise with HelpHOPELive (formerly HelpHOPELive – The Leader in Fundraising Assistance and Support for Transplant and Catastrophic Injury) in part because HelpHOPELive provides both tax-deductibility and fiscal accountability to contributors. Contributors can be sure that funds contributed will be used only to pay or reimburse medically-related expenses. Some of you many know Scott from his years as the Founder and Director of Teens Alive or some of you may know him as the Youth Pastor of your Church during the last 25 years or maybe some of you know him as the Blog writer of “drinking from the same dipper” (www.scottlinscott.com ) . Others may know him as Donald Linscott, III, friend and the funniest guy you want to sit next to at a Portland Seadogs baseball game. He is an amazing husband, father, friend and brother. He married his college sweetheart, Robin in 1984 and they have raised three awesome kids – Josh, Shara and Jake. In May 2011, while vacationing in Florida with his wife, Scott was diagnosed with “end stage liver failure” due to Non-Alcohol Cirrhosis of the Liver (NASH). The shock and seriousness of Scott’s medical condition sent everyone who knows him into a shock and awe prayer vigil. 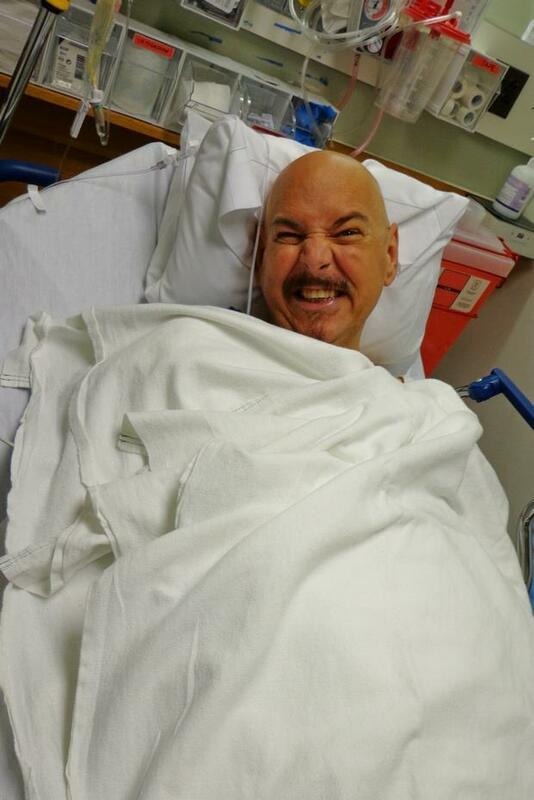 Scott has been in and out of the hospital approximately every 15 days since May with numerous failed treatments. 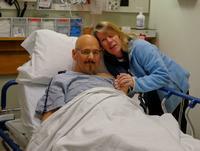 Scott’s only chance for survival and a cure, is a liver transplant. On May 7,2012, Scott’s son Josh gave him half of his liver to save his life. Now, just three months later, Josh is running in a half-marathon on Saturday and Scott is training to enter a 10 mile benefit bike ride Sept. 22! Both are doing very, very well. Funds raised through HelpHOPElive.org have been a tremendous help to the Linscott family as transportation, lodging, co-pays and uncovered procedures have already totaled several thousand dollars. Though the transplant was successful and things are going very well, they still need your help. Robin, Scott’s wife, recently learned that she will be another victim of this weak economy on September 1 when her hours get cut in half and their health insurance is no longer provided by her employer. They will need to pay the $1600 premium themselves. That means that Robin will be working to cover the cost of their insurance. Scott’s disability benefit will cover their small mortgage and the cost of utilities but they will literally have no additional funds coming in. Robin has her resume everywhere and is completing the interview process at a temp agency. Scott’s medications and monitoring will not allow them to go without insurance and he is a year away from qualifying for Medicaid. They are so thankful for all who have helped to this point with gifts, hosting fundraisers and even stopping by with groceries. They are thankful they were able to sell their big house they built before losing it to the bank and find a quaint little 1100 square foot condo. The Lord has provided for them every step of the way. Thank you for being part of their team. The match is far from over but the first set has been won. Your tax-deductible gifts are still greatly needed. Every gift, no matter how large or small helps. If you are a praying person, please pray that Robin finds a job with health benefits soon at a level that matches her skills and experience. To make a credit card contribution, call 1-800-642-8399 or select the DONATE NOW button. A fundraising committee has been formed and we are planning several exciting and fun events. Your support is crucial! Thank you so much for your gifts and prayers. May 7, 2017 marks my five year liver transplant anniversary. Since my transplant our family has added 2 grandchildren with a third on the way. We have been blessed to photograph destination weddings at several locations around the country all the way to Hawaii! I have also travelled to Guatemala twice to work photographing the work of a non-profit working with 8000+ children trapped in poverty. To mark my third year with a new liver I completed a 180 mile, 3 day bicycle trek across the state of Maine. Today, the only evidence that I had a transplant is the side-effects of the medicines I will take for the rest of my life. Medical visits include blood labs every three months ($1200), dermatology scans every six months to watch for cancer, annual checks at the transplant center, and now a yearly heart check. So far, everything has gone great! We are so very grateful to all who have helped us on this journey. Though we lost our house, our savings and our retirement funds, we are now rebuilding and moving forward. Life is sooo good! Just 5 days until my four year transplant anniversary! I am so very thankful for all the help I have received during this journey. If you would like to purchase raffle tickets, make your check payable to “NTA Fund” and mail it to Scott Linscott, 531 Allen Ave, Portland, ME 04103. $5 each or 3 for $10. Ron Carroll and friends, will provide a fun afternoon of Ragtime music focusing on Scott Joplin, Father of Ragtime and Al Jolson. The concert will take place Sunday, January 29, 2 o’clock, at the First Parish Unitarian Church, 425 Congress Street, Portland. In the event of a storm it will be held on February 12 at the same time and place. Tickets for the event are $10 each and can be purchased at the door. Some of the songs include Solace, Peacherine Rag, Weeping Willow, The Entertainer, Swipey, and the Easy Winner. Also on the program will be musical numbers that made Al Jolson popular. Scott has requested a table to represent New England Organ Bank to allow the opportunity for those who are not registered organ donors to sign up. The entire proceed will go to Scott Linscott, through the National Transplant Assistance Fund, to support liver transplant expenses and those not covered by insurance. If you cannot attend but would like to make a tax-deductible contribution, you can make gifts through NTAfund.org. To make a credit card contribution, call 1-800-642-8399 or go to NTAfund.org and select the DONATE NOW button. Will you join the fight and be a PUSHer for Scott? We are looking for point people like you who are willing to help us meet the goal of securing a liver transplant for Scott. We need you to be a PUSHer! Yes, in most situations "pushers" are not a good thing. 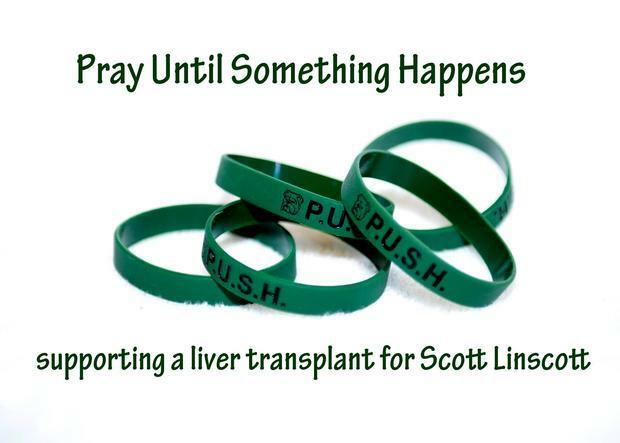 But in the case of Scott’s need for a liver transplant, PUSHers are very important! A PUSHer is someone who commits to joining the effort to raise funds for Scott’s unmet lever transplant expenses. By coordinating a fund raising drive, small or large, PUSHers commit to taking a number of PUSH bracelets and then offering them to others encouraging them to join the effort. "PUSH" is an acronym for "Pray Until Something Happens." How much do the bracelets sell for? PUSHers do not actually sell bracelets. Instead they are seeking tax-deductible donations to the National Transplant Assistance Fund in Scott’s honor. Every person who donates $5 or more receives a bracelet reminding them to keep PUSHing for Scott. How many bracelets must I take to be a pusher? You could take as few as 10 or as many as 100. It depends on your drive. Are you setting up a table for a couple Sundays in your church, is your youth group taking on the project or are you planning to bring some to your office? Rotary? Civic organization? Club? Fair? Just be realistic in your goal so that we can be sure to have bracelets available for other PUSHers. Email Gail Linscott Silva at [email protected] to discuss your idea. Secure permission for your event if needed. Put a start and ending time to your drive. Limit it to a week or two and then send in your checks and unused bracelets within a week after your event has concluded. Two Sundays, two meetings, one craft fair … etc. Events without a definite start and end time can tend to drag on and never be successful. Take time to make your table attractive and informative. Print out NTAF info, Scott’s bio, organ donor info and include clear posters (handmade is fine) telling people what you are doing and how they can help. Checks are tax deductible. If people give cash, write one check to NTAF Northeast with "In Honor of Scott Linscott" on the memo line and send all monenies to Gail so she can track donations. We ask only that you cover the cost of the bracelets at 45 cents each plus shipping (normally $6-10 priority). You then reimburse yourself from cash donations when you settle up. You can discuss this with Gail. Imagine 100 PUSHers raising just $100 each. That would be $10,000 toward the goal. Imagine 10 churches raising $1000 each. That is another $10,000. Our goal is to raise $100,000 through all events toward the $300,000+ cost of a liver transplant. That $100K amount contributes to expenses not covered by health insurance. Will you please PUSH with us? A liver transplant is Scott’s only chance at survival. Every little bit helps. Even if you only take 10 it will all add up to a major difference.